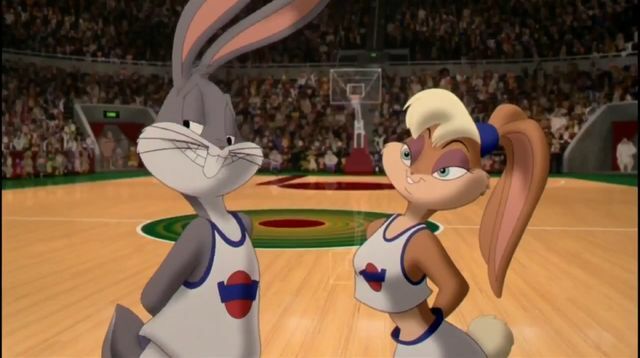 Every time there's any kind of update on Space Jam 2, which has happened once or twice a year for quite a while now, the reaction is always the same: "This is a real thing?" Well...yeah, it is. Why is everybody so surprised to find out the animated b-ball hit would get a sequel, and that it would star LeBron James? How is that any different than when Michael Jordan led the 1996 movie? Simply put, it isn't, and that sequel is definitely happening now, with the surprise addition of Black Panther director Ryan Coogler on board. LeBron James confirmed to THR some of what we already knew, that Terence Nance (An Oversimplification of Her Beauty) will direct, and let's hope he brings some of his unique animation style to Bugs Bunny and the Looney Tunes crew. The big news is Ryan Coogler joining the film as a producer, which is just plain cool. Maybe someday it leads to James getting his own Black Panther 2 role? Too soon to think that far ahead? James said about the news, “The ‘Space Jam’ collaboration is so much more than just me and the Looney Tunes getting together and doing this movie. It’s so much bigger. I’d just love for kids to understand how empowered they can feel and how empowered they can be if they don’t just give up on their dreams. And I think Ryan did that for a lot of people." Shooting probably won't kick off until early next year when James is less busy playing hoops. For now, check out this cool Instagram post confirming the Space Jam 2 starting lineup.